An avalanche probe is a piece of equipment you’ll hopefully never need to use, but it is one of the most important things you can have on you while skiing or riding the backcountry. These are used to find buried victims in the snow after they have been located with an avalanche transceiver. 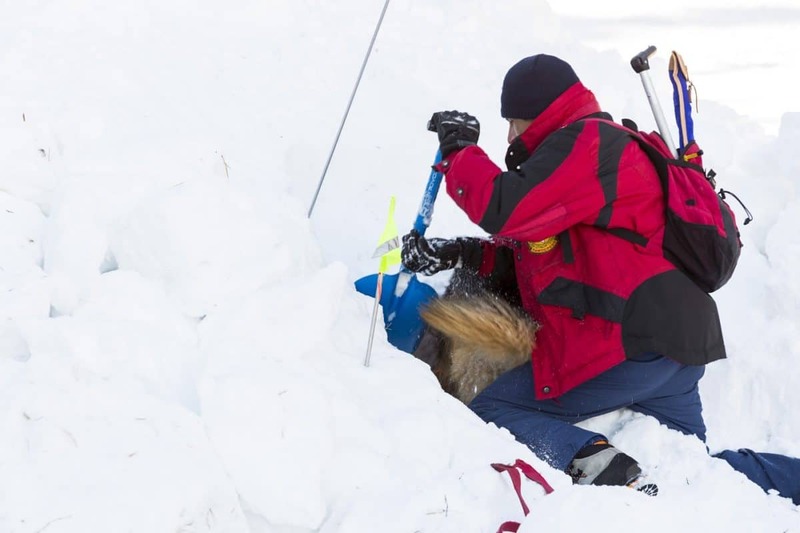 When you have only minutes to reach a buried friend, you’ll be glad to have the best avalanche probe available. Here at The Adventure Junkies, we want to make sure you are equipped with the very best safety gear before you set out into the backcountry. In this article, we will cover the most important features to consider when choosing an avalanche probe. After locating the area where the victim is buried using an avalanche beacon, you’ll use an avalanche probe to pinpoint them so you can dig them out with your shovel. The chances of survival for people buried in more than 6.5 feet (2m) of snow is close to zero, so most probes are just a little longer than this range. Taking into account the part of the probe that you will be holding, probes generally come in lengths between 6.5-10.5 feet (200cm-320cm). 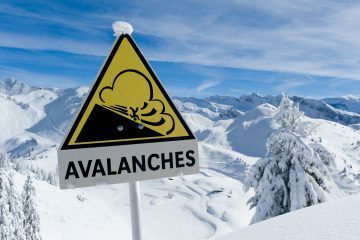 Ideally, you should look for an avalanche probe that is between 8-10 feet (240-300cm). Probes longer than 10 feet might find victims buried so deep that their survival chances are extremely low. Probes shorter than 8 feet risk not finding victims buried under less than 6 feet of snow. The general reason for choosing a shorter probe is ease of transport. Check how heavy the probe is and how much space it takes up when folded. Usually, probes fold into segments about a foot-and-a-half long (40cm), but some probes are different. Check if your particular probe fits into an accessible part of your backpack. Probes for professional use are often longer, thicker and stronger. These are for recovery professionals who are trained in avalanche rescue and may be able to save people buried deep beneath the snow. They are easier on the back and less likely to break since they allow for a more stable grasp. Longer probes are also useful for measuring the snowpack when doing research or choosing whether to venture further into the backcountry. Since you will be carrying your avalanche probe at all times when skiing in the backcountry, you will want a probe that is as light as possible while still being effective. Avalanche probes come in carbon, aluminum and steel. It’s important to get a durable probe that won’t break upon being stabbed repeatedly into the snow. All three materials listed here are extremely strong and resistant to breaking, but each has its own distinct advantages and disadvantages. Carbon probes are the lightest of the three which make them practical to carry while you are skiing. They are more expensive than aluminum probes. Aluminum probes are slightly heavier than carbon probes, which make them less convenient to carry but can actually be an advantage in harder snow. They are less likely to break than carbon probes. 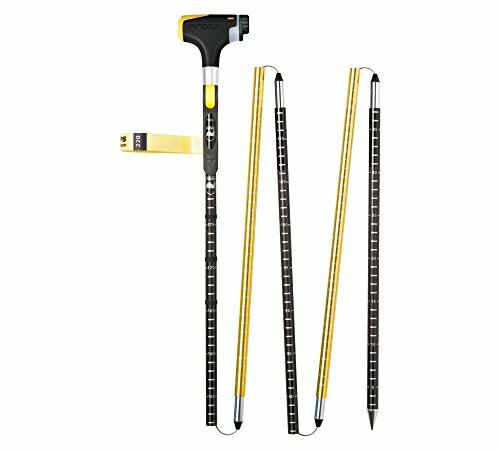 Steel probes are the most durable of the lot, but they are also the heaviest. They are usually favored by avalanche professionals who do a lot of rescue work. Probes can come as collapsible versions that fit into your backpack or as dual-function ski pole/avalanche types. You should choose a probe that is quick and easy to deploy. 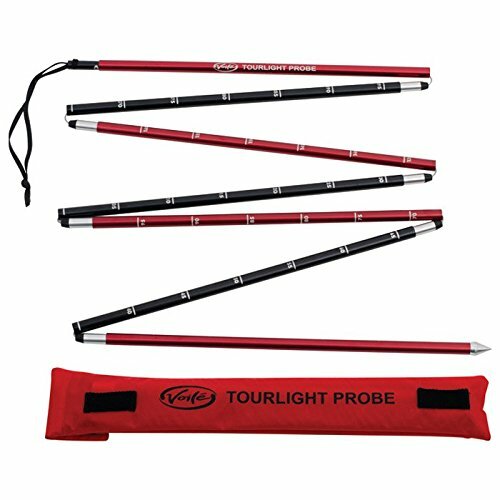 Ski pole probes seem practical because they double as ski poles, which reduces the number of things you have to carry. However, since ski pole probes require more assembly time, collapsible probes are a better choice. Whatever model you choose, make sure you practice until you can deploy it quickly and efficiently before setting out into the backcountry. These are assembled by removing baskets and screwing pole sections together. This takes an extra minute or two and will reduce the victim’s chances of survival. 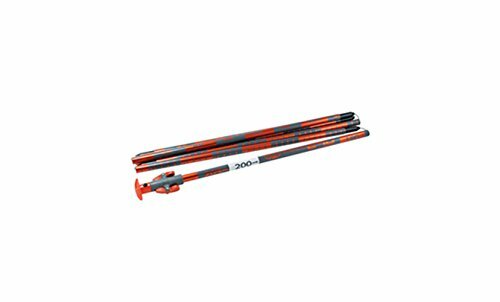 Ski pole probes are also shorter, and they are not as optimal for plunging into the snow. Collapsible probes are usually composed of several metal parts attached by a cord or cable. The best ones assemble themselves in a few seconds with minimal effort on your part. Designs vary; this is a personal choice depending on what you are familiar with and comfortable using. The rule of thumb for avalanche probes is the longer, the better. However, not everybody wants to carry a clunky, heavy probe. 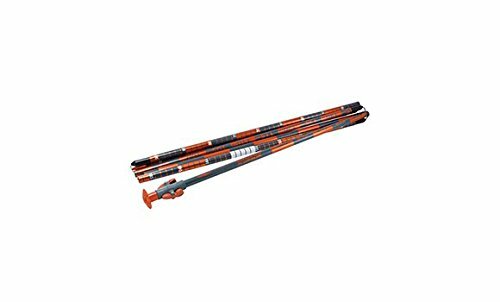 Ski patrol and other professional rescuers tend to favor sturdier poles which are longer and more durable. The average backcountry skier will tend to use shorter, lighter poles. 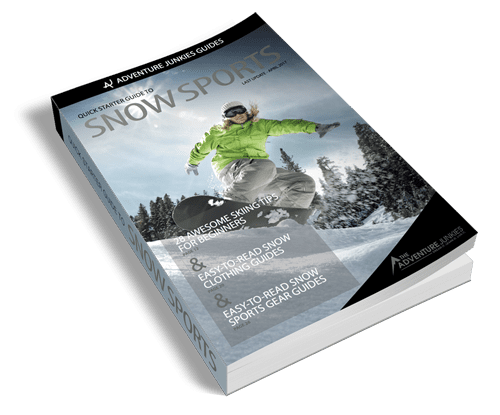 Within this category, people who plan to ski in conditions with heavier snowfall should lean toward poles on the longer side. 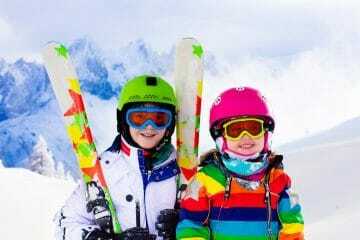 People who ski in conditions with lighter snowfall can opt for poles on the shorter side (but still at least than 8 feet). There are several other factors you might want to consider before choosing an avalanche probe. While secondary, these are also important. Depth markers are essential. They help you determine how deep a victim is and where to dig from. Depth markers are also useful if you are looking for more than one victim. You should always rescue victims buried under less snow first, as they have better chances of survival. 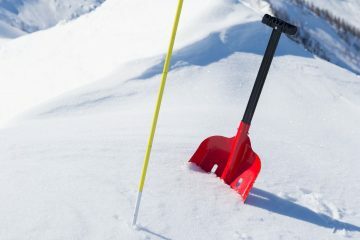 Depth markers also make it possible to measure the snowpack, which is useful when determining whether conditions permit you to venture further into the backcountry. Laser-etched markings are better, as they don’t wear off. Every second counts! The pointier the tip of the probe is, the easier it will slice through the snow. Generally diameter of the probe will depend on the material and other design features, but thinner poles are lighter, while thicker poles are stronger. Avalanche probes often come with carry pouches, but many people don’t use these because stopping to take the probe out of the bag wastes precious time. Make sure your folded avalanche probe fits into your backpack. Some probes are designed to work in conjunction with other equipment such as air bags; check compatibility before buying. Conditions are unpredictable in the backcountry, and you should always be prepared. It is critically important to know how to use your probe and practice beforehand in real-life conditions until you are confident with all aspects of avalanche rescue and survival. 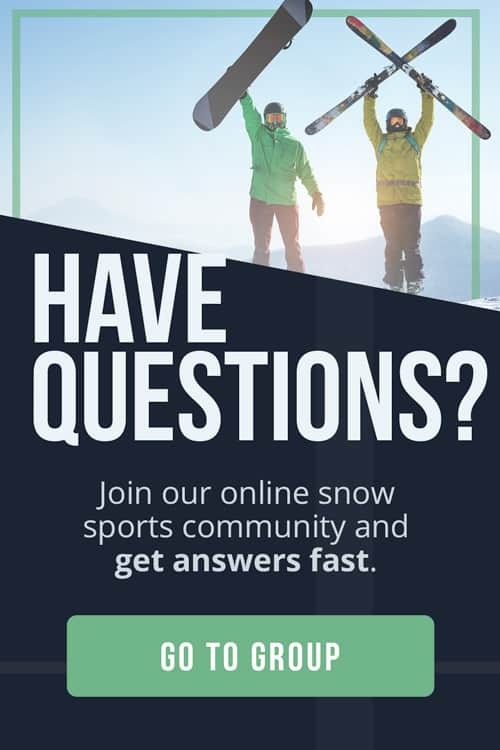 Consider taking a course from AIARE or the American Avalanche Association.